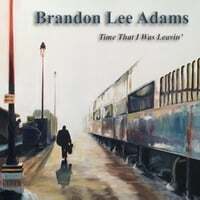 As the title track for the album, Time That I Was Leavin’ sets the stage for a series of short stories inspired by an American singer/songwriter’s lonely life on the road. A progressive bluegrass song combined with a traditional Americana story line. The song features some of the finest musicians in bluegrass recorded and mixed by a Grammy winning production team. The catchy melody will draw you in, have you singing along, and make you forget about your problems as your emotions become one with that of the free-spirited wanderer who leaves his troubles all behind.